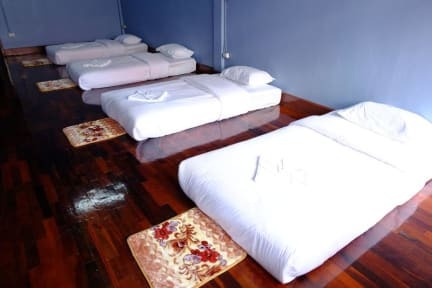 Well-located in in the heart of the city center, Chiangrai Trip & Hostel is an ideal point of departure of the trip in Chiang Rai. It is very close proximity of Clock Tower and night market and bus station, the most famous places of interest in Chiang Rai that you can not miss it. From here, you can enjoy easy access to everywhere. Walk within 5 minutes to local morning fresh market, temple, bank, post office, bars zone, night market and bus station. 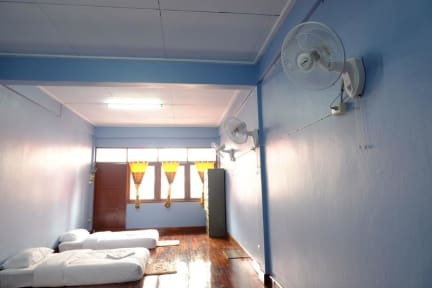 Offering cozy and clean beds with reasonable price, Chiangrai Trip & Hostel is aimed to make the stay an enjoyable one. Make yourself at home in one of the non-smoking rooms featuring Towels and hairdryers are available for hire. Complimentary wireless Internet access is provided to keep you connected. Chiangrai Trip & Hostel welcome you in Chiang Rai. 2. Check in from 14:00 to 21:30.